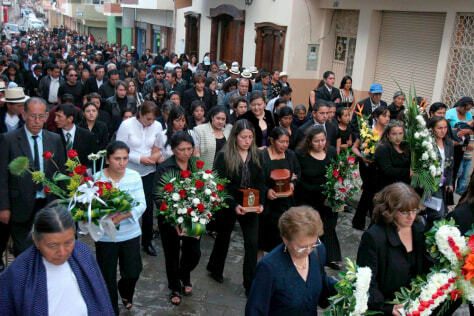 Rosario Lucero, center, carries the urn containing the ashes of her son Marcelo Lucero during his funeral in Gualaceo, Ecuador. on Nov. 20. Lucero was killed Nov. 8 by a group of N.Y. youths, U.S. prosecutors say.